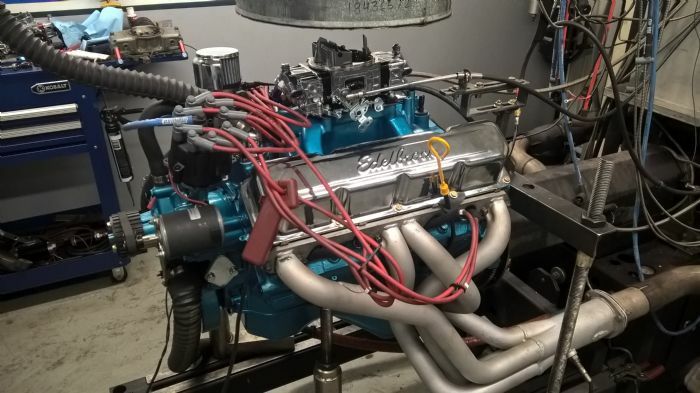 304 build on the dyno. Wow! Now that is more than respectable!!!!!!!!!!! Good work!!!!!!!!!!!!!!!!!!!!!! This 304 would be a lot of fun!!!!!!!!!!!!! Great job! My only questions are for such a low rpm range why the need for Molnar rods? 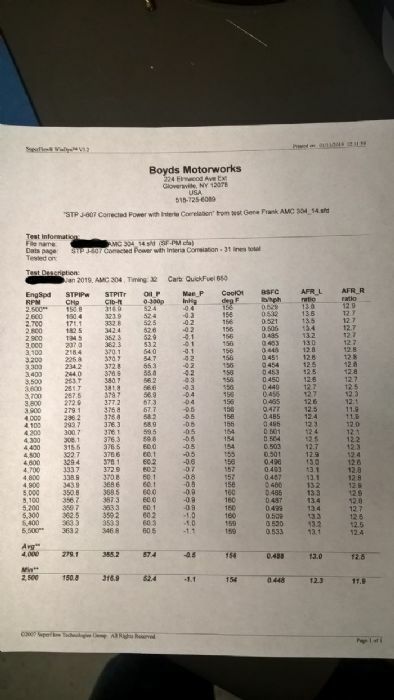 And why again did the dyno run end at 5500rpm? "God is good all the time and all the time God is good!" 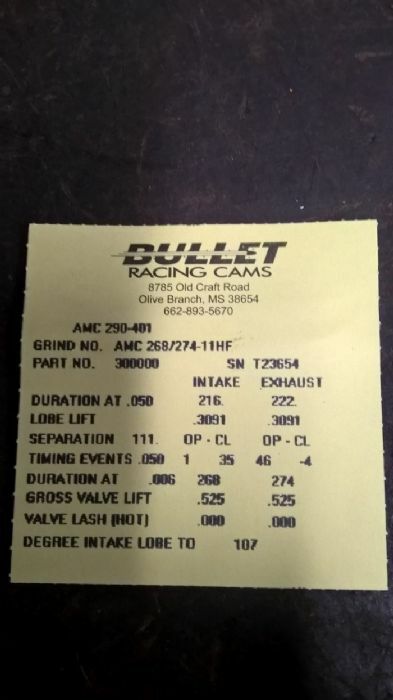 Now that is pretty impressive numbers for a little ole 304 AMC motor. I use Molnar rods in everything. For a little extra money it does not make sense not to. It was starting to nose over so that is where he pulled it to. 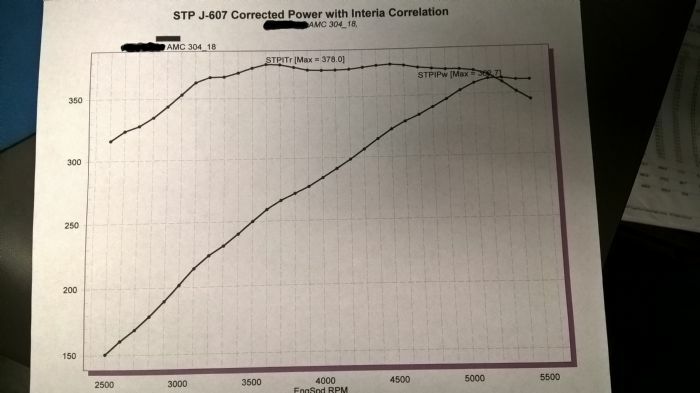 What I can't get over is how high and flat that torque curve is it hits 350 @ about 2900 and just stays up there all the way through. We had one pull where it hit 381.8 @ 3600 RPM. Its going to be a fun driving Sportabout yes its going in a wagon! it sounds amazing on the dyno and ought to RIP in a Hornet Wagon! did you leave the intake divider intact on this build? did you happen try a pull with an open carb spacer? just curious if it left any power on the table at the very top (especially if the full divider is intact). After seeing these numbers, can we all stop telling newbies with a 304 to use it for a boat anchor and get a 360 instead? 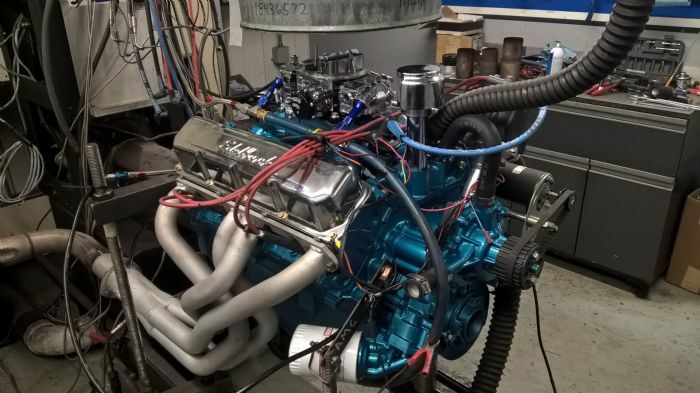 Some of us love seeing what can be done with small cubic inch naturally aspirated engines. Buzzman72...void where prohibited, your mileage may vary, objects in mirror may be closer than they appear, and alcohol may intensify any side effects.